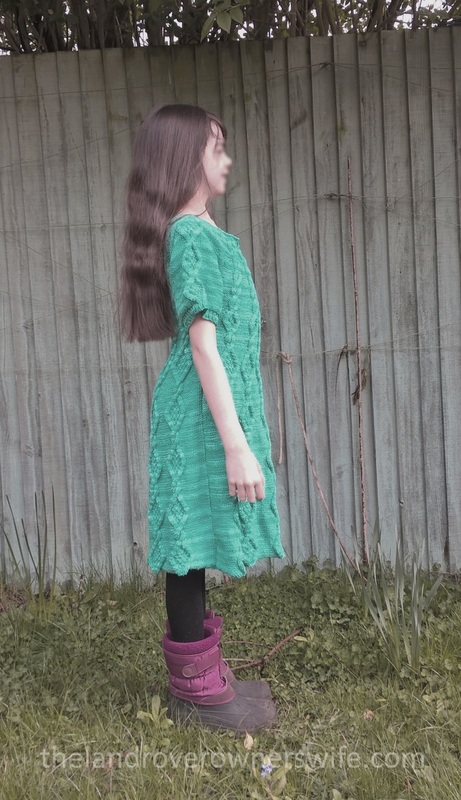 I finished Little Mudlets’ dress about 10 days ago and I am happy with how it turned out. 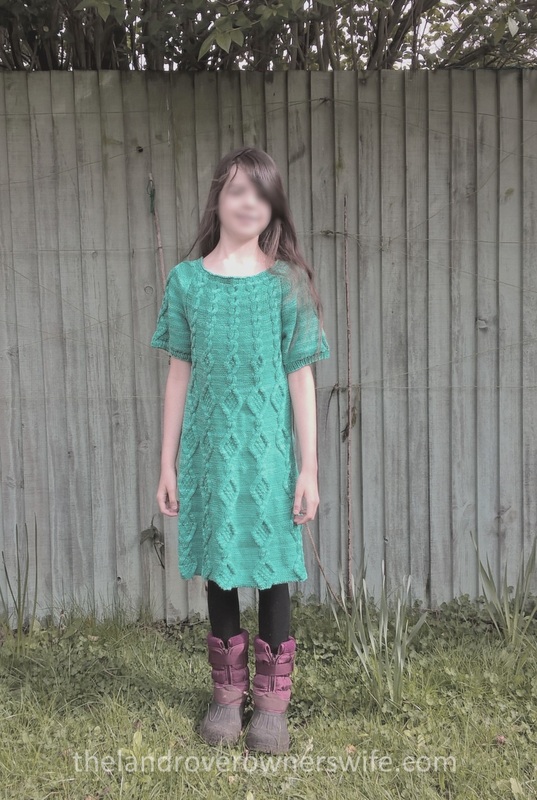 She’s 9.5ish and so I decided to make the dress up as a size 10-year-old and it is probably a little too big for her at the moment because she is a slight mite but due to the shaping of the body section, and the overall design, it doesn’t look odd and is long enough to be worn either with jeans/leggings as a jumper dress or as a regular dress over tights. She has worn it both ways and the colour and shape of the garment really suit her. I thoroughly enjoyed knitting this pattern and loved the way the cable changed the further up the body I worked, tapering into a twist by the time I’d reached the bodice section. Oddly enough I found the sewing up to be the hardest part as on the right side of the piece, the seams appear in the reverse stocking stitch section and I always find that these are more obvious and can be messier and aren’t as well hidden as seams which are in the stocking stitch section where the right side is ‘normal’ stocking stitch i.e. the purl side. I pulled sections of seam work out numerous times to try to achieve the best finish and while for the most part I was happy with the finished look, there are a couple of places where, to me, the seamwork is rustic. 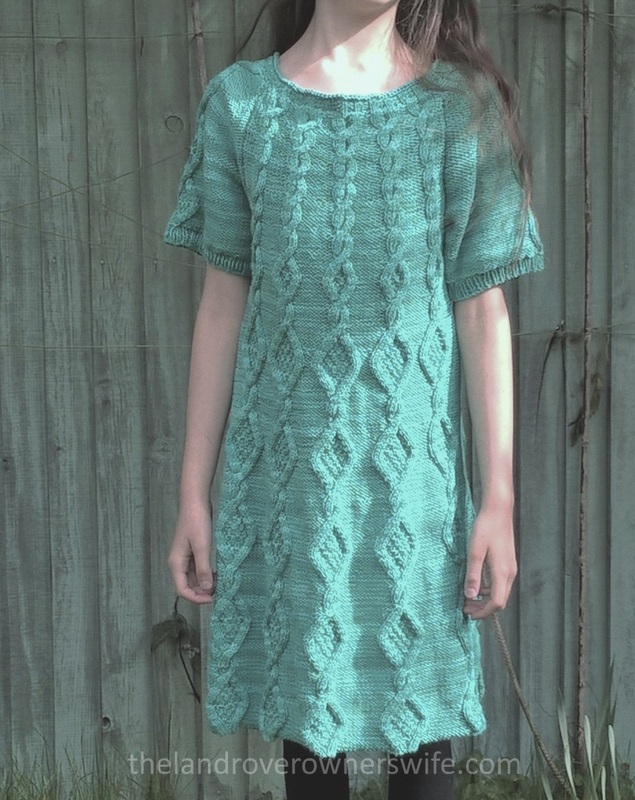 I did make one small alteration to the pattern – the sleeves are slightly longer by one repeat, than those shown in the pattern leaflet which I think works really well with the finished garment, especially when it’s worn as a dress. This was an intentional action and I had to carefully work out how many stitches needed to be cast on and then the frequency of stitch increases to ensure I had the correct number going into the top shaping, as per the pattern leaflet. The Scheepjeswol Softfun denim was a lovely yarn to work with. It was soft to the touch and held up extremely well to the occasional pull back and rework, with no splitting that I can recall. There is an oh so subtle variation in the colour way which gives this yarn its’ name which worked really well with the cable patterns as it was gentle enough not to hide the pattern but you can still see the rise and fall of the colour depth, especially on the reverse stocking stitch sections and in particular on the sleeves. There is a good selection of colour ways in this yarn and it is definitely one I will use again. 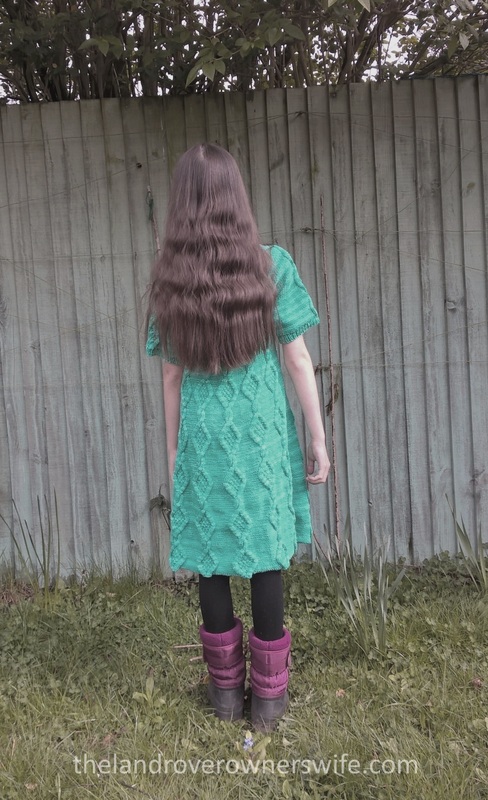 With this project now finished I started on Middle Mudlets chosen pattern ………… 4 times so far!!!! But more about that in a later post. Wow…im not sure which one of these jumper dresses i like best. Looks fab! WOW WOW WOW it’s amazing!! !